That's a pretty impressive list of 31 names in men's tennis. Those are the names that were vanquished by Rafael Nadal since 2005 at Roland Garros en route to his four straight French Open titles. But that all came to an end on a shocking Sunday morning in Paris, when Swedish veteran Robin Soderling erased the memories of being eliminated by Nadal in the first round of the French Open in 2006 by beating the Spanish superstar 6-2, 6-7, 6-4, 7-6 as a 25-1 underdog. It was really only a matter of time that Nadal finally dropped a match on the clay courts. Everyone figured that it would be either a Novak Djokovic or Andy Murray or Roger Federer that knocked him out. That's what makes Soderling's upset so special. Even though Soderling was ranked 23rd in the world coming into this tournament, it could legitimately be considered one of the greatest upsets in the history of sports as we know them. Nadal only dropped seven sets in his previous 31 matches on the clay courts of Roland Garros, the most recent of which came in 2007 in the final against Roger Federer. Think about that for just a second... Nadal went ten matches... 22 sets... without even dropping a set, let alone the three sets required to be knocked out of the tournament. No one told the Swede that he was just supposed to lie down and die for the King of the Clay Courts. He legitimately could've taken out Nadal in straight sets, but had to settle for a four-set upset. What does this mean for the rest of the field? Without a doubt, all eyes turn to Roger Federer, who clearly has easiest path to capture the only jewel he is missing for his career Grand Slam. One glance at the remaining bracket shows that Federer should clearly be the odds-on favorite left standing in France. He will do battle with unranked Tommy Haas tomorrow as a -1500 favorite before having to deal with either Andy Roddick or Giles Monfils in the quarterfinals. There could be another Frenchman awaiting in the semifinals, as Jo-Wilfried Tsonga is one of four ranked opponents that could be Federer's foe. In the final, it will most likely be Brit, Andy Murray, who is the second highest seeded player left in this tournament. Still, without Novak Djokovic or Rafael Nadal floating around in the bracket any longer, now is the time for Roger Federer to complete his career Grand Slam. The Swiss native isn't getting any younger, and he's showing signs of coming back towards a young field that is gaining on him with every passing week. 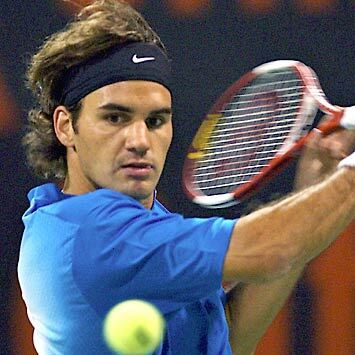 Federer has to know that the time is now, or there could always be that gaping hole in his career resume where the 2009 French Open crown could be sitting.